Grab lorry hire can be an efficient and cost-effective way to take waste away in Edinburgh– usually related to ‘muck away’ or even general rubbish disposal – or to deliver such things as aggregates. Capital Driveways provides a complete, fast and dependable Grab Haulage Solutions Service for single and multiple loads. Incidentally, this also includes providing Eight Wheel tippers for larger muck away and site clearance works. Whether you’re ‘in the trade’ or a home owner living or working in Edinburgh with a large amount of waste to move, you can take advantage of our fleet of Four, Six and Eight Wheel grab loader trucks – whose special lightweight bodies contribute to helping our customers achieve the maximum possible payloads. Capital Driveways operatives are fully insured and Environment Agency licensed – and should you have any ‘special’ waste requirements, it might help you to know that capital Driveways can dispose of Clean Inert, Non Hazardous & Hazardous materials using Environment Agency required procedures.We aim is to recycle as much of the materials collected as possible from the Edinburgh area, in order to help to protect our environment – and help our customers in Edinburgh to be ‘greener’. Capital Driveways ensures that your waste disposal requirements – even the highly specialised ones – are fully catered for. 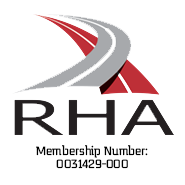 So, to find out more about how we can help you dispose of your waste efficiently, cost-effectively and in an environmentally friendly way for the residents in Scotland. Grab lorry hire from Capital Driveways is an efficient waste management solution, whether your needs relate to muckaway, general rubbish disposal or the delivery of aggregates. Capital Driveways grab lorry service is both fast and dependable – not least because all Capital Driveways grab lorries are fully maintained. As part of Capital Driveways services, we can dispose of Clean Inert, Non Hazardous & Hazardous materials using Environment Agency required procedures. Having been involved in waste management for years, Capital Driveways are highly experienced in meeting and exceeding customers’ needs and expectations. Capital Driveways sets – and supplies customers with – an extremely high standard of personal service. Capital Driveways aim is to recycle as much of the materials collected as possible, in order to help to protect our environment. Capital Driveways not only provides a complete Grab Haulage Solutions Service for single and multiple loads, it can also provide Eight Wheel tippers for larger muck away and site clearance works. 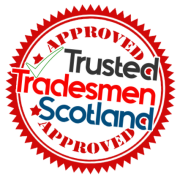 We are a fully registered SEPA Waste Carrier in Scotland. 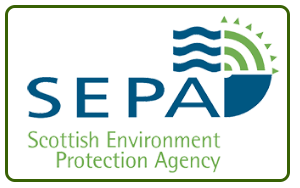 We are proud members of SEPA and can now offer you all carrier services throughout Edinburgh, the Lothians, Glasgow, Dundee & surrounding areas.